The World Cup 2014 in Brazil has been the ideal test field for the first live global broadcasts in Ultra High-Definition (4K). 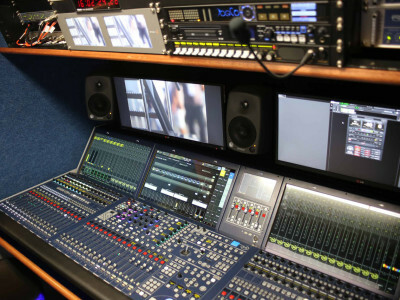 Used for 4K football live production at Maracanã Stadium, GloboSat’s new TV OB truck is fitted with audio equipment from Lawo and state-of-the-art RAVENNA IP networking technology. 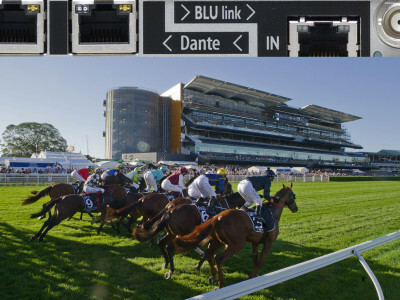 An impressive Dante deployment at the Royal Randwick Racecourse in Sydney used Harman’s BSS BLU digital signal processing units to create an audio distribution network of 160-plus channels across 200 acres. The Dante enabled BSS units increased quality and control while minimizing labor and installation costs. 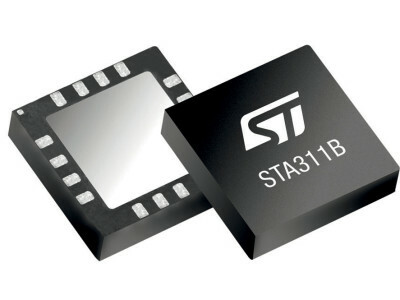 STMicroelectronics has introduced a new digital audio processor with a >100 dB SNR and HDR (High Dynamic Range) audio-signal acquisition technology. The device can process most digital input formats up to 6.1/7.1 channel and 192 kHz, 24-bit DVD-audio and DSD/SACD. 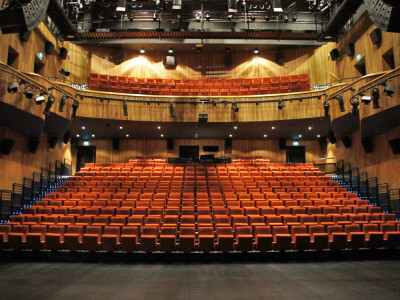 A Norwegian venue has employed Yamaha’s AFC3 acoustic enhancement system to transform its main auditorium into an acoustically enhanced space. Even the most modern venues can suffer from acoustic issues and the Lørenskog Hus multi-purpose is using the AFC3 system every day, transforming the acoustics of the venue. 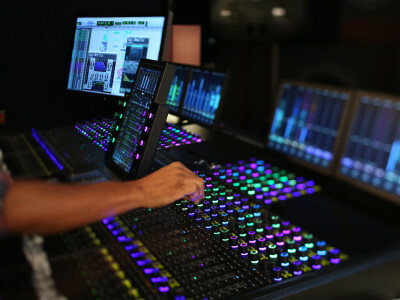 Avid has announced key enhancements to its Pro Tools Control Surfaces, including the new S6 modular solution, as well the previous System 5, including support for Dolby Atmos mixing and monitor control, deeper integration with the Eucon control protocol and including VCA Spill, automation control and much more. 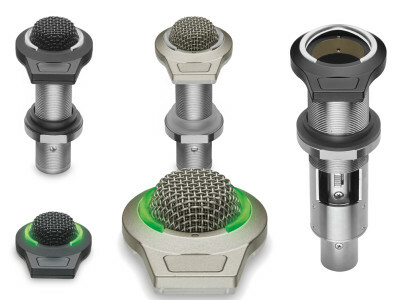 Audio-Technica announced new microphones for conference room applications, the ES945/LED omnidirectional and ES947/LED cardioid condenser boundary microphones featuring Red/Green LED indicator rings and the AT8657/LED flush-mount socket, available exclusively to contractors and system integrators. 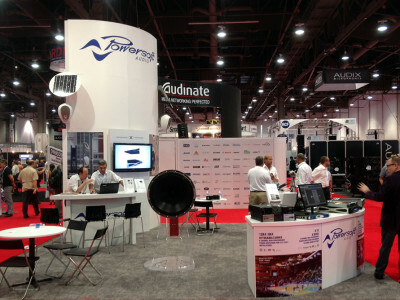 At the InfoComm 2014 Show in Las Vegas, there were several audio network related announcements, from speakers to microphones and obviously amplifiers. 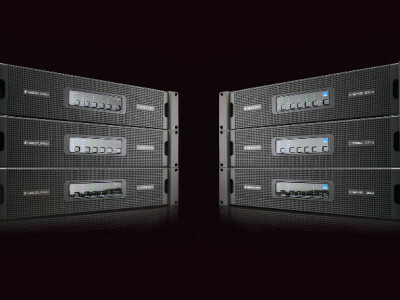 Lab.gruppen introduced its new D Series, leveraging its Lake processing technology in a Dante solution, as well as a new partnership with Biamp Systems equipped with AVB connectivity. 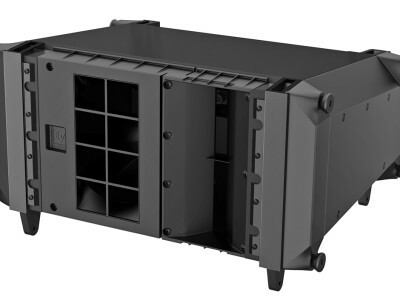 Electro-Voice had big news at InfoComm 2014 expo in Las Vegas, with the global preview of the next generation of X-Line line-array loudspeakers (X1 & X2). At the EV booth, cutaway models allowed a close-up look at the engineering innovations of the new series, while the X1 line-array system could be seen in action in the demo room. During the InfoComm show in Las Vegas, Italian company Powersoft stunned visitors by exalting the humble amplifier to a new status with the US release of its new X Series. The M-Force transducer, placed at the heart of the booth, drew the attention of visitors. Billed as the “Synthesis of Technology, Art and Music,” Moogfest is a fabulously quirky celebration of electronic music, geekiness and the legacy of synthesizer legend, Bob Moog. 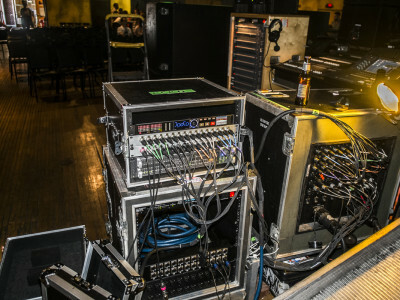 For the first time, two DirectOut MADI systems were used for the live recording of two of the main festival venues.